Take it to the Next Level with our HTX Sport Bluetooth Speaker. 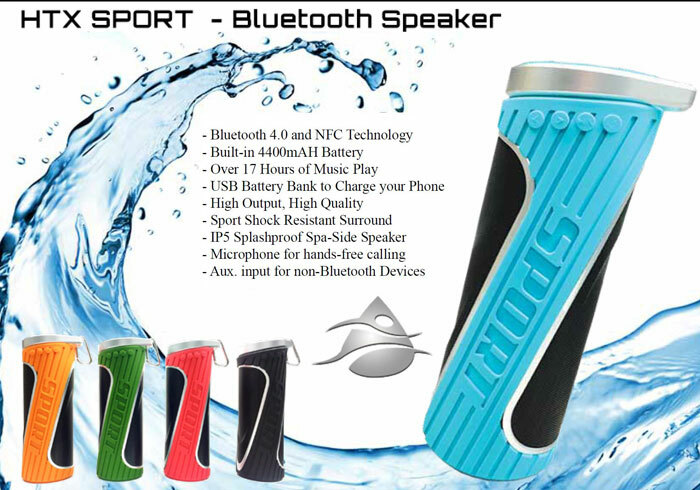 This Spa Side Speaker is IP5 Splashproof and contains a 4400mAh batter with a battery bank function to charge your phones and other USB Devices. The powerful and quality sounding speaker contains a sporty rugged casing to protect against falls and damages. Comes 4 to a case in Assorted Color or Black.